Benjamin Percy has been steeped in the horror genre since he was a small child. He remembers pulling Stephen King and Anne Rice off his parents' bookshelf when he was in 3rd and 4th grade. "I was born warped," Percy said, about his taste for haunting narratives. Now a successful novelist, he lives in Northfield, Minn., where he writes full time (when he's not riding in Google's self-driving car). 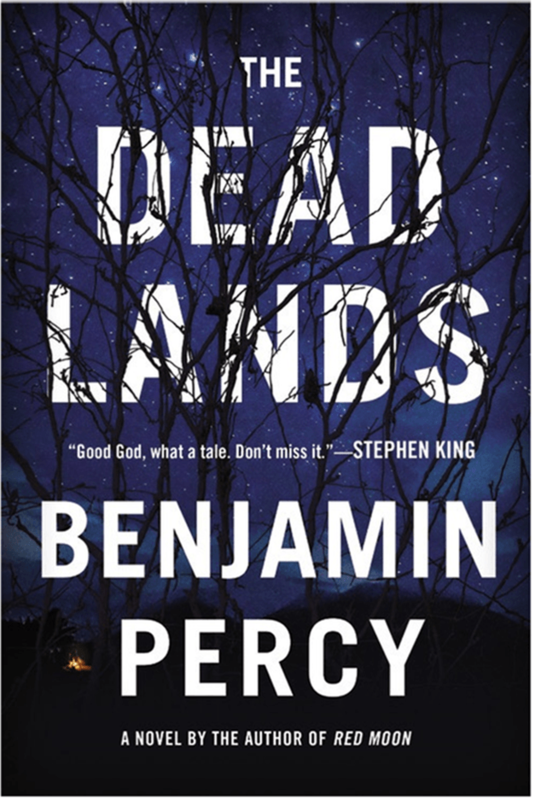 His dark imagination is on brilliant display in his new book "Dead Lands," which offers a post-apocalyptic take on the Lewis and Clark story. In the novel, a flu epidemic and high radiation levels have ravaged the country; St. Louis seems to be only the bit of civilization spared. A contingent sets out from the city in search of what's left, retracing that famous Western journey. Percy grew up in an isolated area of Oregon, the eventual destination of Lewis and Clark, where he devoured two to three novels a week as child. "This was my rabbit hole," Percy said of his voracious reading habit. "This was my way to escape those 27 acres of big pines that I grew up on without any neighbors." His taste for horror is evident in his writing, but so is his masterful grasp of language. The combination has made him a celebrated outlier. "I grew up on genre," Percy said. "And it wasn't until later that I fell in love with literary fiction as well. Now I'm a hybridized weirdo where I'm writing these artful sentences while also having compulsively readable plots." Percy doesn't have much use for genre lines: horror, thriller, mystery, literary fiction. He takes his cue from Margaret Atwood, Dennis Lehane and others whose work transcends these labels. "It doesn't really matter, these are all phantom barricades," he said of such categories. "Just write pretty sentences about exploding helicopters — why not?" Percy joined MPR News' Kerri Miller to discuss where his dark ideas come from and how genre rules are meant to be broken.